Jan Andersen was an excellent contributor for Monarchs over a period of years. He first joined in late 1992 and showed promise, but didn't return the next year. He was back for the Cup Final season of 1994, and in the all-in league in 1995 he was our star performer in the early part of the season. Jan then moved on although remaining a Monarchs' asset. We had another chance to bring him over when he had a suitable average in 2001, and his performances that season included a memorable score of 20 at Berwick. Sadly towards the end of the season a major pileup at Hull brought not only his career but also that of David Walsh to an end. 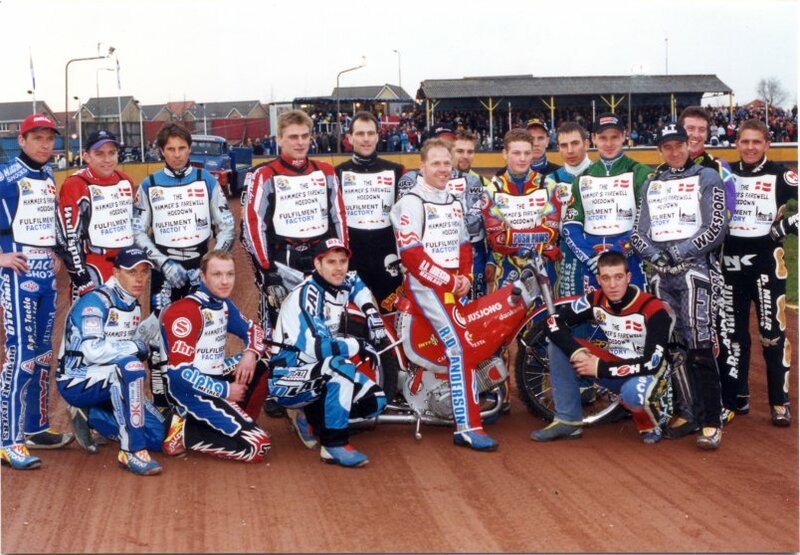 We granted Jan a benefit meeting, named the Farewell Hoedown, which was staged on 19th April 2002 and won by Bjarne Pedersen from Mark Loram. Jan, a very professional rider, attended our 60th Anniversary celebrations, and now lives in New Zealand.